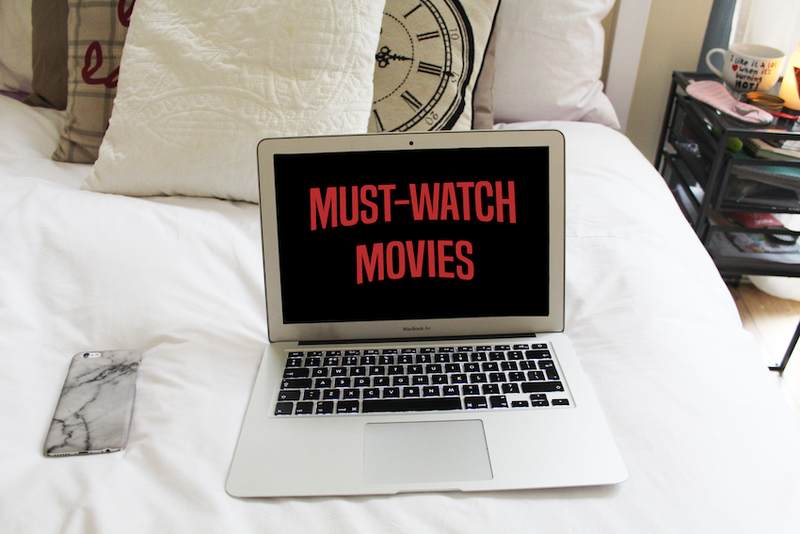 8 MUST-WATCH MOVIES ON NETFLIX | RAWR BOWS. Netflix & chill anyone? Whether you’re an avid fan of Netflix or you prefer to use it in moderation, there are some movies that you just have to watch. It’s like Titanic or Mean Girls. They are musts and life without those movies just wouldn’t be the same. Here are eight movies to watch on your next Netflix & Chill (or just Netflix and no chill, it’s up to you) session. Finding Neverland. Johnny Depp plays ‘Peter Pan’ author, J.M. Barrie. The movie revolves around his special friendship with a family, which inspired him to create the famous magical world. Legally Blonde. This is like Mean Girls, a good movie with a good message disguised as a dumb girly movie. Reese Witherspoon plays Elle Woods, a Barbie-like girl who enrolls at Harvard Law School to try and get her ex-boyfriend back. Beginners. A romantic comedy that centres around Oliver and his complicated relationship with his father. The story is told through flashbacks and is both funny and heartbreaking. Adventureland. A comedy set in the summer of 1987. The recent graduate, James Brennan (Jesse Eisenberg) plans on going to university to pursue a career in journalism which forces him to get a summer job. That’s how he ends up in Adventureland, where he meets Emily Lewin (Kristen Stewart) and with whom he develops a relationship. The Avengers. The movie in two words: badass superheroes. Including Chris Hemsworth, Chris Evans and Robert Downey Jr. Chef. Jon Favreau plays a professional chef who, after a public argument with a food critic, decides to quit his job at a popular restaurant in LA and goes back to Miami. There, he reconnects with his son and fixes up a food truck that drives back to L.A, selling Cubanos and yuca fries in cities along the way. Short Term 12. Grace is the supervisor of a group home for troubled teenagers. The movie revolves around her trying to help these kids as well as how she herself learns to become emotionally more open.